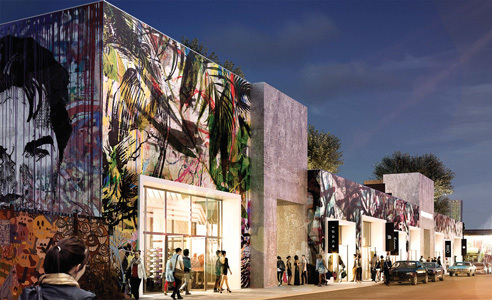 Wynwood Park, a mixed-use project by ASG Wynwood LLC, an affiliate of ASG Equities and the Gindi Family, which is set to open in early 2019, has set its sights on creating a retail experience focused on international curated food and beverage options combined with progressive retail. Metro 1 Commercial and Whitehall Realty Group, which handle landlord representation and leasing services for the project, have already begun to negotiate and sign leases with potential tenants. However, Mr. Arellano said, it is too early to list any specific tenants due to leases still being negotiated. As for availability for tenants, Mr. Arellano said sites vary in rentable square feet between 964 and 9,914 on the first level of Wynwood Park, while second level availability varies between 770 and 8,432 rentable square feet, with bi-level rentable square feet totaling up to 18,346 square feet.